Did I miss the memo letting everyone know that the new hotness was putting your rye whiskey into a second new barrel for finishing? Sure, I ran across one this fall, but it was a distillery-only release. It came in half bottles that sold for $50 each. That was a company playing around and stumbling upon something good. Cool, right? But then, I started seeing reports that Beam was doing something extremely similar as a limited release in the Knob Creek line. Two data points isn’t a trend, but it could be the beginning of a trend. I mean, finishing your whiskey in a second barrel is nothing new. People have been doing that for years. But finishing it in a second, new barrel? Well, that’s new. At least to my limited memory. I mean, barrels are expensive. And sure, the big guys can resell them for somewhere around the price they bought them for, but still that seems like a serious outlay of cash. So what are they getting for that extra expense? Well, think of it this way. A new charred oak barrel is like a basket full of freshly ground coffee beans. They smell good, they are full of flavor and they impart that flavor to the liquid that is interacting with them. But once you use them? Well most of that flavor is gone. Ever been so tired that you accidentally made today’s coffee with yesterday’s grounds? Yeah. Barrels are kinda like that too. Only in this case, they are running that metaphorical coffee through a new set of grounds imparting even more of that flavor to the resulting liquid. Hmmm…I wonder if that would work? I love coffee, it might be the one thing I love more than whiskey. Anyway, the result for both of the double-barreled whiskeys from this week was to impart a richness that was lacking in the standard releases. After tasting each of them side-by-side with their respective standard release rye, I’d say that running these particular whiskeys though the barrel again definitely had an effect. But did in Knob Creek’s case, did it make it better? Mouth: Spicy and sweet with black pepper, clove, cinnamon, apricot, maple, caramel, honey, and oak. Finish: Spicy and warm. Medium length. Lingering cinnamon and clove along with a fruity sweetness. Thoughts: This is good. I like it much better than the standard release Knob Creek Rye. Of course, since I am finding my self falling further and further out of love with the Knob Creek Rye, is that really saying anything? In this case, yeah, it is. Lately I’m finding standard Knob Creek Rye to be very grain forward and since there is a hefty portion of corn in there, unfortunately, one of the grains that is coming through the most is corn. That kinda defeats the purpose of a rye to me. If I want a high rye bourbon, I’ll buy one. When I want a rye, I’d rather have one that tastes more of rye than bourbon. And in a way, this is also very bourbony. There is a lot of the bourbon-like sweetness coming through. Luckily, in this case it is in the form of maple, caramel and honey, not grain flavors. 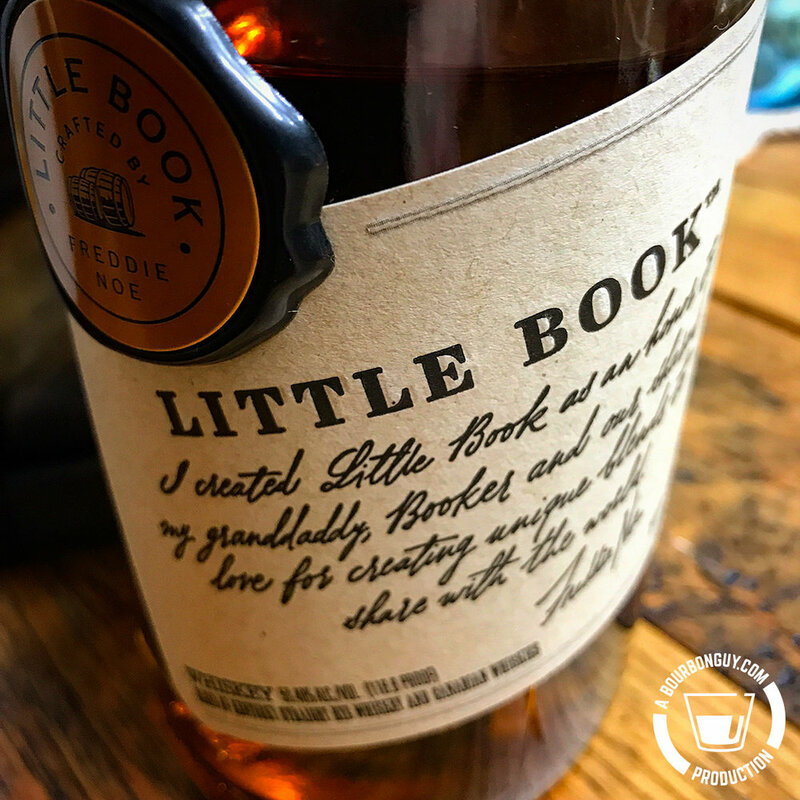 And that really does make a difference as I think the sweetness helps complement the typical “rye” flavors that you would expect in a rye whiskey. There is also a richness that is severely lacking in standard Knob Creek Rye. All in all, I’m a fan. At the price, I’m not sure I’ll be buying a second bottle. But I don’t regret buying the first. I am a fickle guy. My favorite thing this week could be something forgotten next week. My house is filled with items that I just had to buy, used precisely once, and then left sitting on a shelf somewhere. Things, I might add, that my wife/accountant eventually decided to donate to the nearest charity thrift store, give to a family member, or just throw away. slide scanner: needed to scan some photos taken on slide film in 2008, excitedly used it once, begrudgingly used it the rest of the winter, let it sit until last year, gave it to my wife to do the same thing. a charcoal smoker: bought in 2012, used once, sat in the garage until 2014 when it was sold on Craigslist. a cassette “ripper”: I had three cassettes that I couldn’t ever buy on CD, bought ripper in 2018 to digitize them, used it on one of them, remembered how bad cassettes sound, found that those three albums were on Spotify, gave it to my daughter. Hmmm….looking back, I get excited about bizarre and eclectic things. But still, knowing that my favorite thing this week, might be forgotten the next does not put a damper on my enthusiasm. Far from it, in fact. I tend to approach every new favorite with the same excitement that every previous favorite had garnered. And so, knowing all of that, I present to you my favorite rye whiskey ever…this week. But first, a story. Early last week, I was craving a cocktail. One made of rye, specifically. I had a couple ryes on hand, but they weren’t ones I usually liked in cocktails. I’ve been buying Bulleit Rye since it was first introduced. I like it neat, but I always felt it didn’t work great in cocktails. Didn’t integrate well enough with the recipes I prefer. Knob Creek Rye is a rye that I really liked when it was first released, but these days I mainly buy it because my corner liquor store sells it for $25 for a 750. To me, it just doesn’t have enough rye character to it. I could mistake it for a high-rye mashbill bourbon if given it blind. But one thing I do enjoy doing is blending. And since I really wanted a cocktail made with rye, and was in no mood to go shopping, I thought that a mixture of the two might work better than either alone. I started with a 50-50 blend of the two. It did the job, but I felt it could be better. I made up five different combinations with different ratios. Starting at half an ounce of one whiskey to three and a half of the other, onto one ounce to three, then two ounces to two and then working my way back down the other direction to three and a half ounces of the first to a half ounce of the second. Then I let them sit for the rest of the week to mingle and made a bunch of small cocktails on Sunday for my wife and I to sample. We also tried them neat. It was a fun experiment. I never noticed just how thin in the mouth that Bulleit Rye is or how corn forward Knob Creek Rye was until I tried the 0.5: 3.5-ounce versions of each. 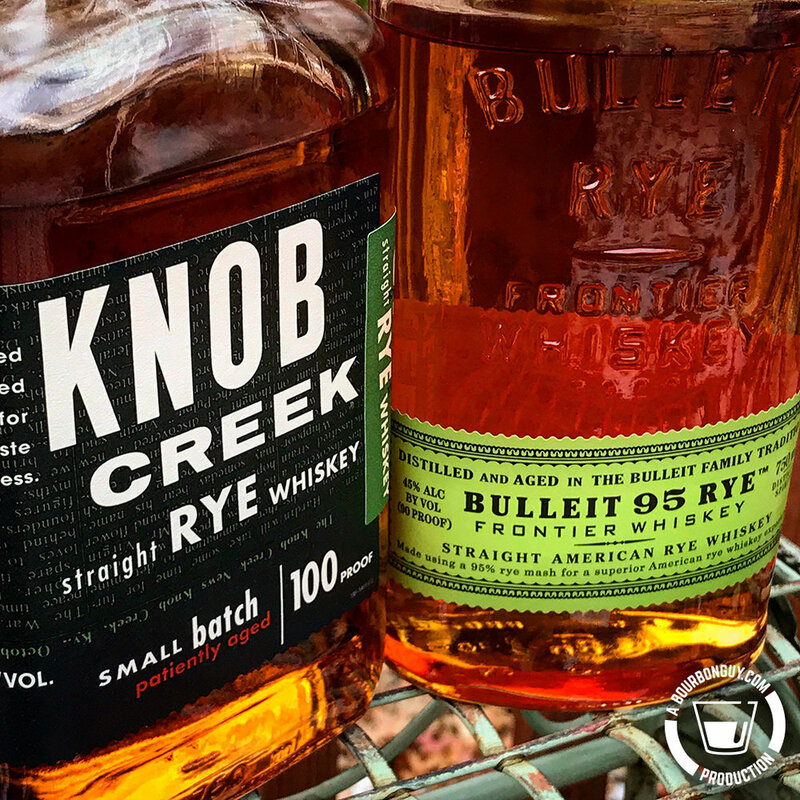 And the most interesting thing was that independent of one another, my wife and I came to the same conclusion: our favorite of the bunch (and my favorite rye whiskey ever…this week) was the blend made up of one part Knob Creek to three parts Bulleit. I like it for two reasons. One is that both of these are relatively cheap. I can get either of them for $25 at my corner liquor store. The second is that this particular blend had everything I liked about Bulleit, but with added sweetness and a better mouthfeel than Bulleit Rye straight from the bottle. It worked great in both of the rye cocktails I’ve tried it in, and the added mouthfeel makes it a joy to sip neat. I wonder what my next favorite thing ever will be?